Standard Duty Compact Stainless Steel Cable Cleat, for cables in single, trefoil or quad formation. The Ellis Vulcan+ cable cleat has been designed, developed, tested and manufactured in accordance with IEC 61914 (cable cleats for electrical installations). 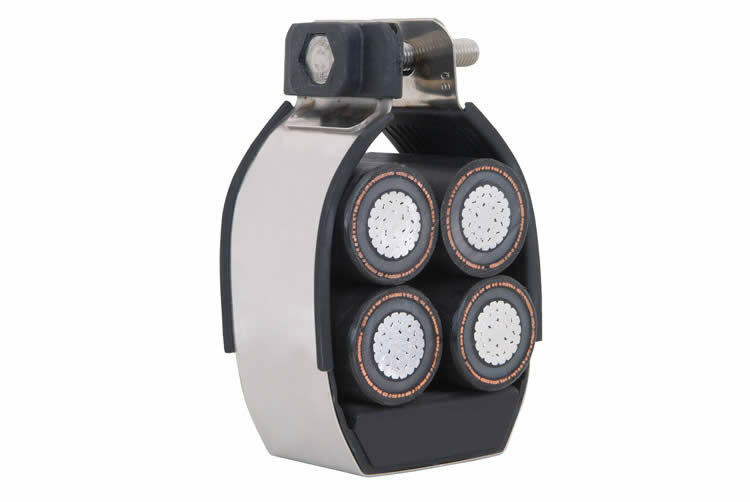 The cleat is available in a range of sizes with range taking ability to suit single cables, cables in trefoil formation or cables in quad formation. The frame of the cleat is manufactured from corrosion resistant 316L grade stainless steel, the cable is supported by a liner manufactured form a low smoke zero halogen (LSOH) material. 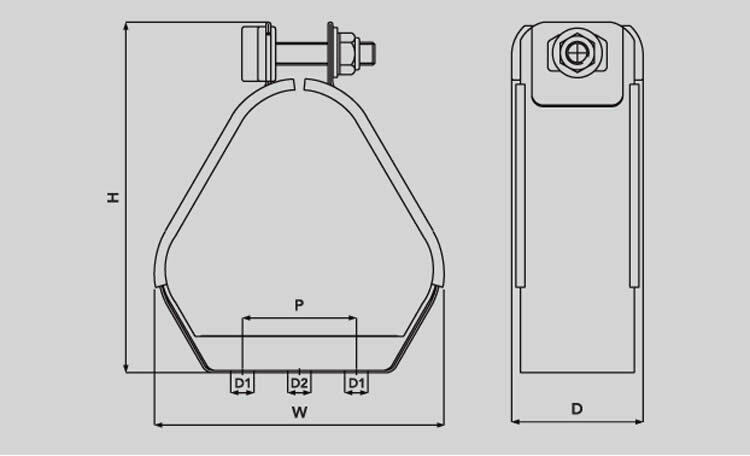 The closure fixings are manufactured from A4-70 grade stainless steel. Vulcan+ can be fixed to the supporting structure by either one or two M10 fixings. Non standard cleat designs can be supplied upon request.